Hungary's new national arts centre, the Palace of Arts in Budapest, has celebrated its official opening with a lavish star-studded gala concert. Aiming to match, even exceed, the acoustical standards of the world's top concert halls, the Palace's main auditoria will have live digital recording facilities as well as digital front-of-house mixing capability: all this will be provided by four Studer Vista digital consoles. Three Vista 8s and one Vista 7 digital desks have been installed in the Palace of Arts, making this one of the biggest installations in a cultural centre in Studer's history. Located on the shores of the Danube river, the Palace of Arts is a major new institution for Hungary. Its1,700-seat National Concert Hall is to be the home of the Hungarian National Philharmonic Orchestra, Choir and Music Bibliotheca, and will also feature guest orchestras and choirs, with an adjoining studio for audio and video recordings. 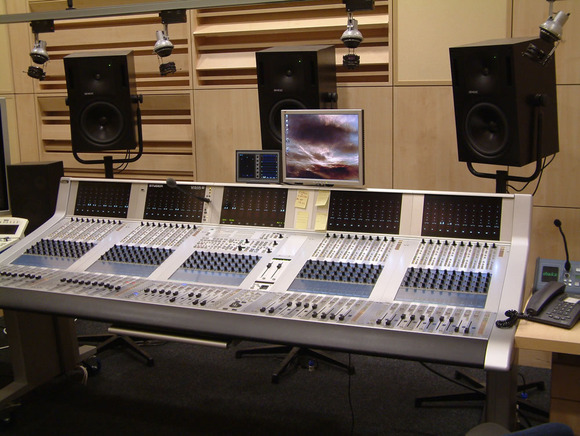 A mobile 52-fader Studer Vista 8 is available for front-of-house mixing in the Concert Hall, and can be moved into the adjacent studio for recording sessions. In the 500-seat House of Tradition theatre, another 52-fader Vista 8 digital console is installed at front-of-house, with a 40-fader Vista 7 installed in the adjoining recording studio. A fourth console, a 32-fader Vista 8, remains mobile to serve applications as they arise around the building. Barnabas Kiss, the Palace's Chief Engineer Operations , and László Fazekas, sound engineer and theatre technology consultant, settled on the Studer Vista consoles for this prestigious project primarily because of the elegant Vistonics™ user interface. "There are several excellent consoles in this category on the market," says Barnabas Kiss, "and we have checked out almost all of them. We found most of them to be very similar in technical parameters, features and even in the way they are controlled. Vistonics makes Studer an unbeatable choice, because it provides a uniquely 'human' interface. Ergonomics are an important factor for engineers who might be working on the desk for 10 hours or more each day, and, in this respect, Vistonics will keep Studer ahead of the game for a long time."